Into It. Over It. 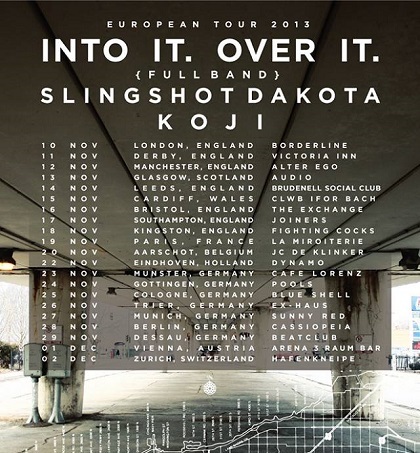 have announced their first full-band UK/European tour with support from Slingshot Dakota and Koji. The tour begins Nov. 10 in the UK and wraps up Dec. 2 in Switzerland. Shows go on sale this Wednesday and ticket links are listed on IIOI's official site.